Family and friends coming round? 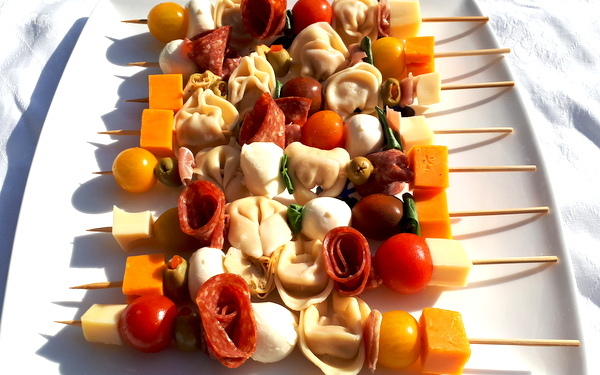 Treat them to these delicious Antipasto Tortelloni Kebabs – also perfect take along to an afternoon BBQ! Think salami, bocconcini, olives… and cooked tortelloni. Cook our tortelloni as per packet instructions, drain and let cool for about 15 minutes. Prepare kebab sticks and add tortelloni with alternating antipasti ingredients. Bacci’s Fresh Tortellini are also great to use instead or have a play with differently coloured cocktail tomoatoes or cheese!